Totally unrelated to the more famous 15th-century polymath Leonardo da Vinci, Leonardo Vinci was an early 18th-century Italian composer, best known for his operas. 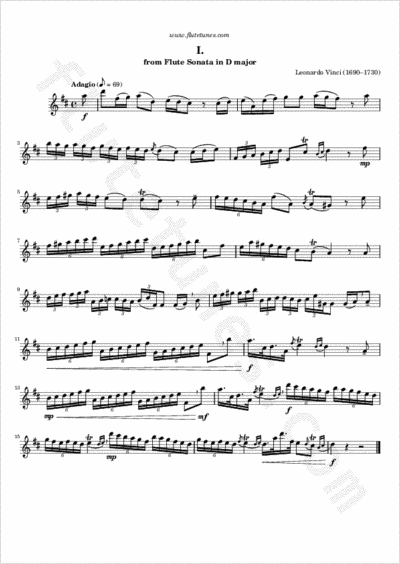 His sonata in D major for flute, of which we present today the opening Adagio, is one of the few of his instrumental works to be still played today. Thanks to Ivana for suggesting this piece!